There are not a lot of wedges out there that offer so much quality and style at such an affordable price. 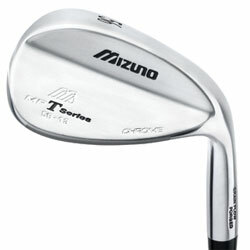 However, the Mizuno MP T Wedge is one of the rare golf clubs that gives you both, and more for under $100.00. The Mizuno MP T Wedge features a teardrop head, solid steel shaft, and comfortable handle. 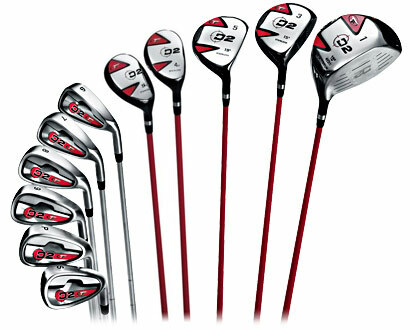 This is a club that promises consistent hitting ability and looks awesome with every swing. 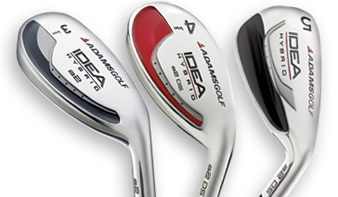 Adams has revolutionized the concept of clubs; the Idea Hybrid series will change your game for the better with every swing. By lowering the center of gravity 11%, and putting it 2.5 times deeper, these clubs have become the easiest set of irons ever to be swung. Replace your conventional long iron, and your mid iron with A2 OS Hybrids, which combine the control and accuracy of an iron, with the distance of a fairway wood. Every hit will go exactly as far and as fast as you’d ever hoped.